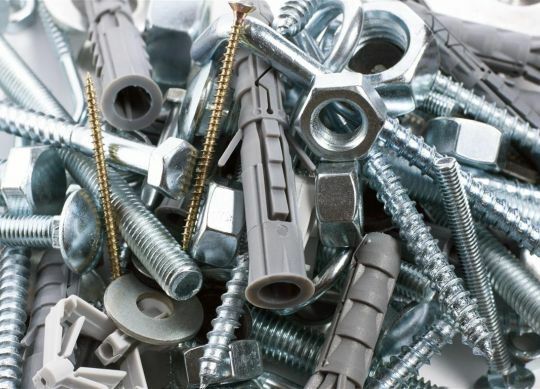 Engineered Components Company is steadfastly committed to offering the industry’s best high-corrosive fasteners, encapsulated t-nuts, specialty floor screws, and more. With over thirty years of experience supplying our customers with their essential fastener products, we have earned a reputation as the most innovative, customer-driven fastener supplier around. In addition to this, our constant drive to expand our catalog through strategic acquisitions allows us to offer a broader, deeper range of products that are certain to fill all of the needs of your facility, line, or manufacturing plant. But, above all else, Engineered Components Company is committed to innovation. Continually looking to improve our products and processes, we hold a massive number of patents and are the market’s sole supplier of encapsulated nuts and bolts. Because of our patents, we’ve also become the leading distributor of specialty floor screws, encapsulated barbed T-nuts, replacement floor screws, and more. If you’ve recently found yourself looking for a new fastener supplier, you owe it to yourself to check out our catalog. With an unparalleled selection of high-corrosive fasteners, encapsulated T-nuts, and other fastener products, you can count on our catalog to meet – or exceed – your expectations. More importantly, you can be certain that our team will provide the absolute best customer service available. At Engineered Components Company, we’re always looking for ways to improve the customer experience. Whether we’re developing innovative new patents or streamlining our internal processes, everything that we do is designed to make our customers’ lives easier. If you’re in the market for a new fastener supplier, be sure to check out our catalog, research our commitment to customer satisfaction, and contact us with any questions that you might have.